MR. G.E. TAYLOR, of Hatfield, in the Doncaster Second Circuit, has a record of which he is justly proud. Born fifty-seven years ago, he has also been a member of our church there for the same number of years, having been enrolled as such when only a month old. Mr. Taylor has been Society steward for the past eighteen years, taking office in 1892 on the decease of his mother who had held it for fifteen years previously, and she having been elected to that position in 1877 on the death of her husband who had held the same office since 1834. For seventy-six years therefore, in unbroken succession, the office has been held by father, mother, and son. For thirty-six years also Mr. Taylor has been Chapel Steward and Treasurer, being placed in those positions in 1874, the father having held them from 1835 to that time. Since the chapel was opened, seventy-five years ago, these offices have only been held by two individuals – father and son. In addition Mr. Taylor has been organist forty years, school teacher and Secretary forty-one years, Trustee thirty-six years, and caretaker thirty-three years. For seventy-six years the home of the Taylors has been the preachers’ home, commencing with Rev. George Lamb, who missioned the village in 1834, and continuing to the present time. Mr. Taylor’s father died thirty-three years ago, and his mother in 1892. In 1893, when forty years of age, he named the lady who, kindly in disposition and gentle and generous in all her actions, seconds her husband in every good word and work. Mr. Taylor has learnt the fine art of concentration. Hatfield is everything to him and he is everything to Hatfield, and is beloved of the people. May his life long be spared to serve the church he loves. 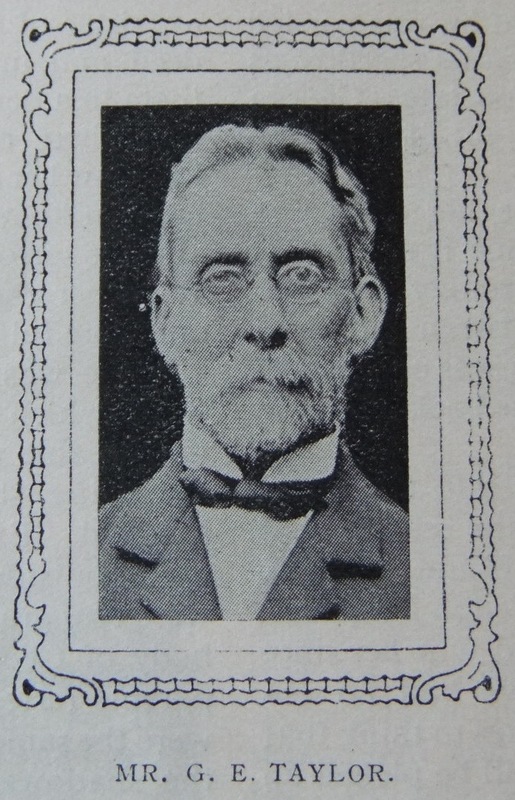 George was born in 1853 at Hatfield, Yorkshire, to parents George and Mary Ann. George, senior, was a tailor, the profession that George also followed. George married Hannah Baddiley (b1852) on 13 September 1893 at Spotbrough, Yorkshire. George died on 26 January 1927 at Flatfield, nr Doncaster, Yorkshire.